The Hotel Riviera Lipno is part of the Riviera Lipno Resort and it is located in the center of Lipno nad Vltavou only 250 m from the beach. Free parking and free public Wi-Fi are provided. Guests receive Lipno Card offering free ski bus and many discounts. The ski shuttle bus stops right by the property. 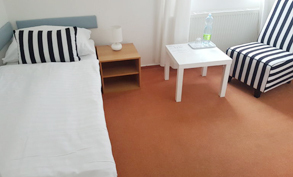 All en-suite rooms at Hotel Lipno are equipped with showers and toiletries as well as satellite flat screen TV. 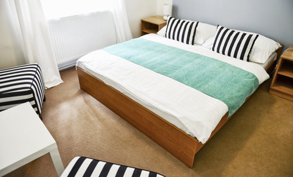 Furthermore, guests can make use of the ski and bike storage located on site. In the summertime, guests can enjoy water sports and go fishing. The ski resort of Lipno is 900 metres away from the hotel. Breakfast is also included in the price. The hotel is pet friendly. Here you’ll get the Lipno.card for free with your accommodation - The Lipno.Card is a guest card which enables you to fully enjoy your holiday within the Lipno area and to fi nd out the main attractions of this region. 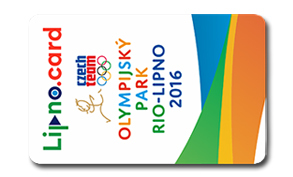 Lipno.Card saves you time and money!